Companies turn to ad agencies for their creative power. 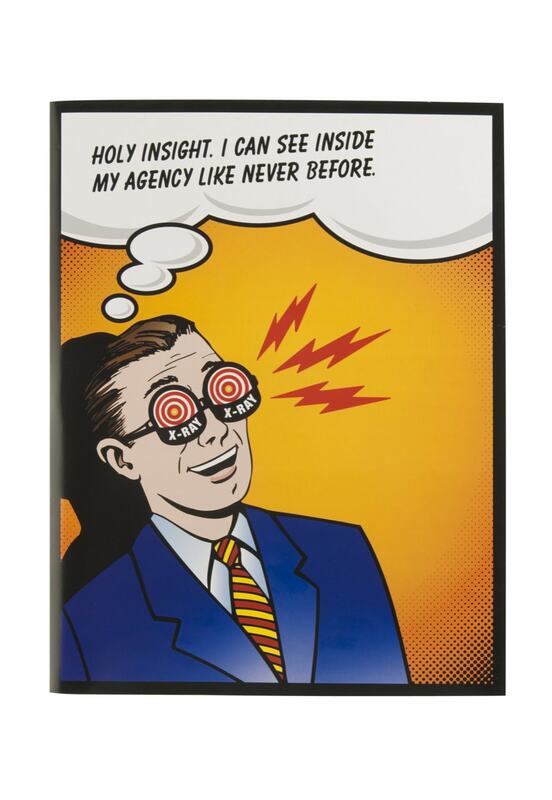 Agencies are seen as providers of the new, exciting and different. 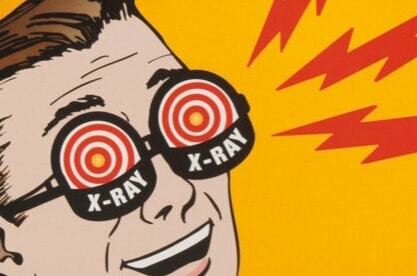 They manipulate words, images, and concepts to help businesses sell. 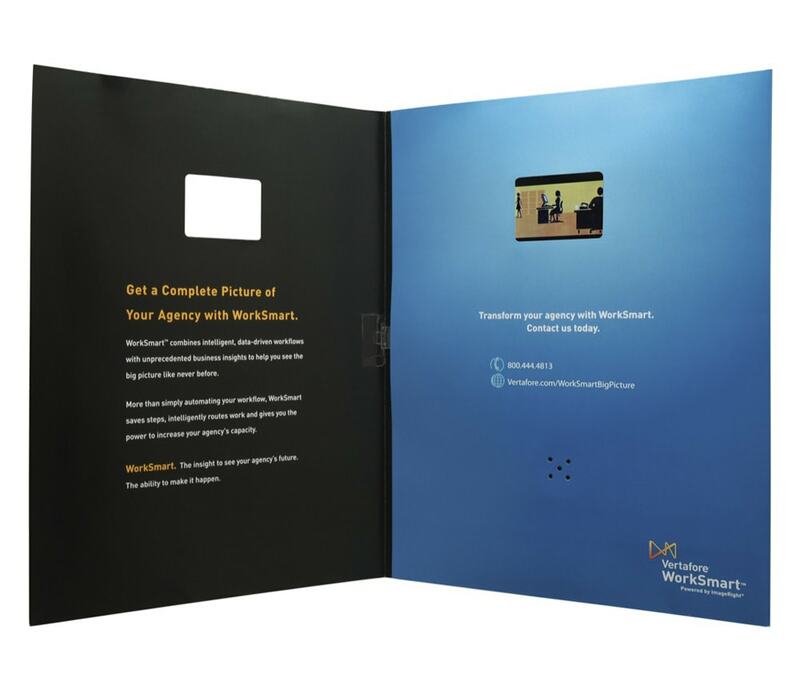 Vertafore wanted to target agencies with their new WorkSmart™ program, but they knew a standard brochure or mailer would not be given a second glance. To overcome this challenge, they turned to Americhip's Video In Print® as a medium to 'surprise and engage' people whose job it is to surprise and engage. 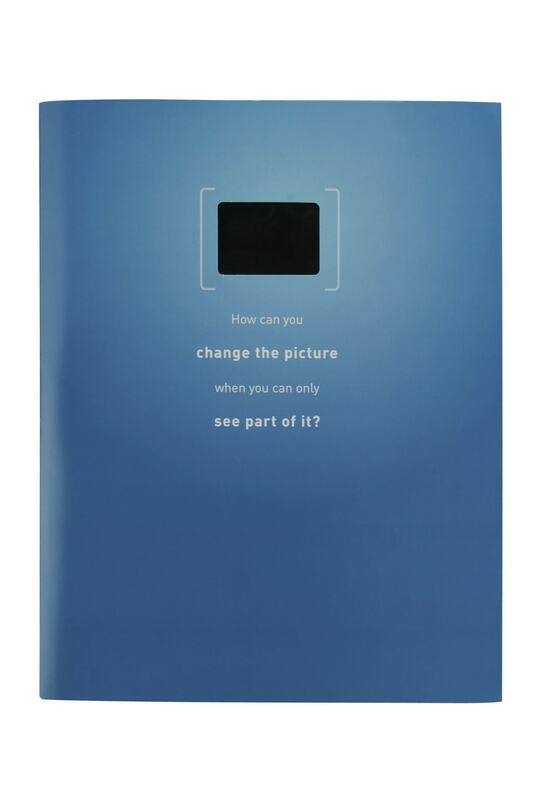 Vertafore knew that delivering a message through video embedded directly in a printed page could impress even the most cynical agency creatives. 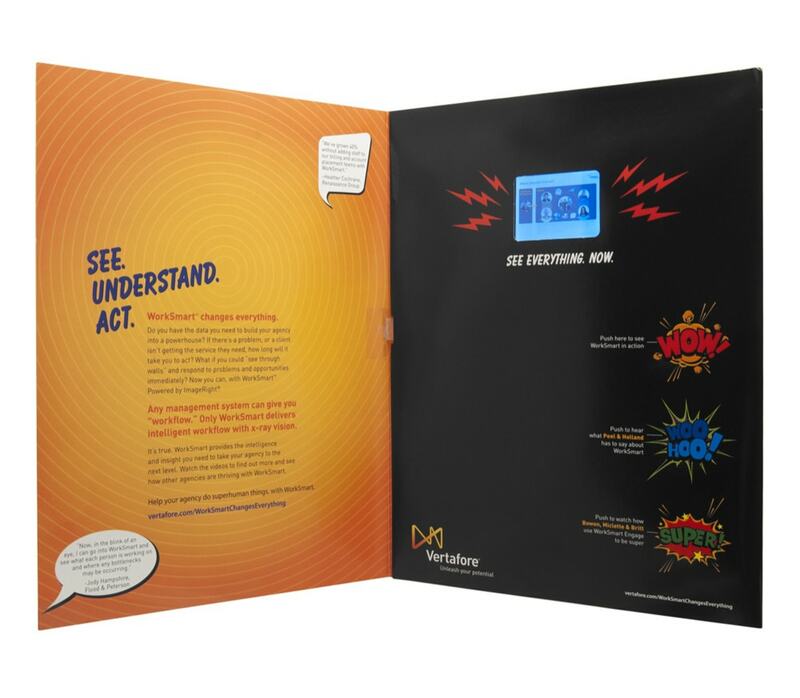 The comic book design, the clever copy and the video testimonials spoke directly to the creativity native to advertising agencies. By pressing buttons labeled "Wow!","wooHoo!" and "super! ", agencies were able to watch real life examples of how WorkSmart has helped people doing the same job, in the same industry, "do super human things". Very powerful.